Thursday 3rd February 1916: Flitwick has lost its first commissioned officer with the death of Lieutenant Edward James Battams Shouler RN. 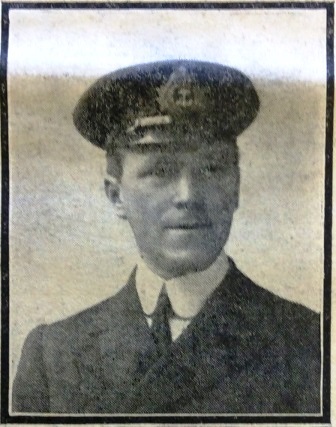 Lt. Shouler was one of ten men killed when HMS Viking struck a mine off Boulogne on Saturday while conveying troops to France. His widowed mother and sister, both named Isabel, still live at Maulden Road, Flitwick. Lt. Shouler was a former Bedford School boy who was popular with all who knew him and believed to have brilliant prospects.